Rolling green hills and mature trees welcome you home to Park at Galleria, a beautiful apartment community located in Hoover, Alabama.  But while our setting resembles a secluded resort, Park at Galleria is only five minutes from Downtown Birmingham's shops, restaurants, and entertainment. We're your peaceful hideaway without the commute!